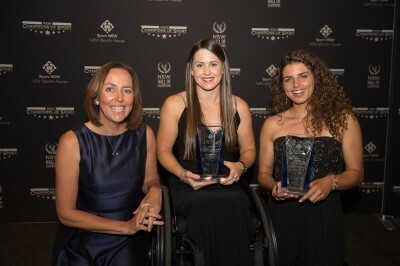 Paddle Australia’s slalom star and two-time Olympian Jessica Fox has taken home the blue-ribbon Athlete of the Year award at the NSW Champions of Sport Ceremony at Rosehill Gardens on Tuesday night. Fox, the first paddler to finish the entire paddling World Cup season undefeated, joins Ian Thorpe and Layne Beachley as a three-time winner of NSW’s Athlete of the Year. Fox, who was named NSW Athlete of the Year in 2013 and again last year, enjoyed a stellar World Cup year winning five C1 gold medals plus three gold and a silver in the K1. These successes cemented her as the greatest slalom paddler in the world, with more Championships than any male or female in the history of the sport. 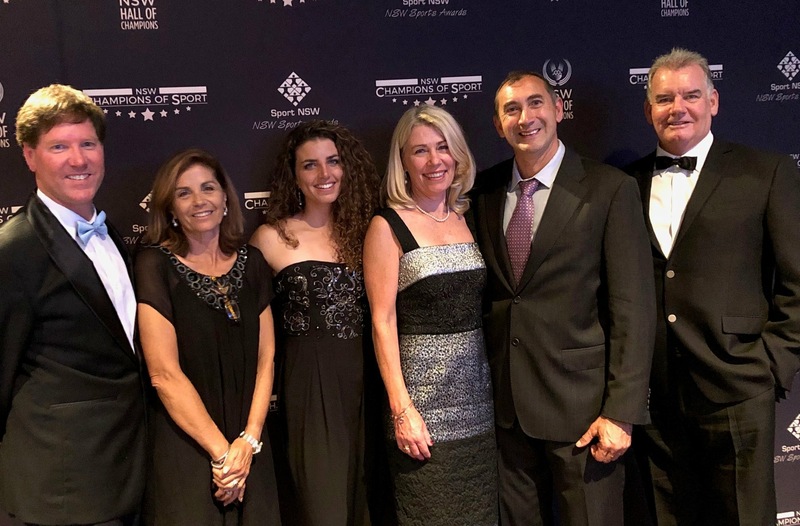 At the NSW Sport awards night, Fox emerged victorious in a hotly contested final vote ahead of Australian rugby league captain Boyd Cordner, surfer Stephanie Gilmore, winter Olympian Matthew Graham, Test cricketer Ellyse Perry, high jumper Brandon Starc and diver Melissa Wu. NSW Minister for Sport, Stuart Ayres, said Fox and Parker, who won the Athlete of the Year with a Disability Award, were exceptional champions and role models. Fox and Parker were among six women who swept to Award success. Sport NSW Chairperson, Joseph La Posta, congratulated all award winners and finalists saying they are great role models for sport and to the wider community. “They have all shown great dedication and commitment towards attaining their goals in sport. They have done this with a high sense of enjoyment while demonstrating great respect to their fellow competitors,” he said. 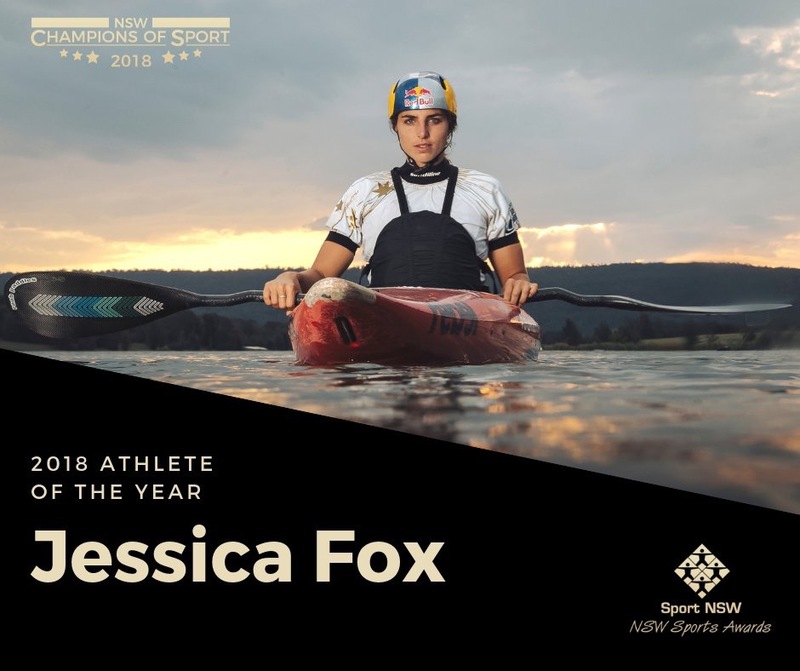 It has been a month of recognition and awards for Jess Fox starting out with the Paddle Australia Paddler of the Year as well as the President’s award at the start of November and continuing with the NSW Institute of Sport Female Athlete of the Year. 2018 dual Paracanoe World Champion, Paddle Australia Paracanoe Athlete of the Year and AIS Sport Performance Award finalist and World Paddle Awards nominee Curtis McGrath (QLD) has also continued a month of recognitions. McGrath received the Queensland Athlete of the Year with a Disability Award at the Queensland Sport Awards last night. McGrath was also amongst a high-calibre list of nominees for this year’s Queensland QAS Peter Lacey Award for Sporting Excellence, which was awarded last night in its 20th year to Winter Games Paralympian Simon Patmore. The award is presented annually to an athlete who has achieved great success on the international stage while serving as an exceptional ambassador for sport. Australian Youth Olympic Games and Paddle Australia Olympic Hopes Team paddle Jenaya Massie was recognised as a finalist for the Queensland Junior Sport Star award. QSport (the Sports Federation of Queensland) conducts the Queensland Sport Awards annually to recognise the outstanding achievements of Queenslanders each year in sport. The 24th annual Queensland Sport Awards Presentation was held on Wednesday 28 November, 2018 at Brisbane Convention and Exhibition Centre.